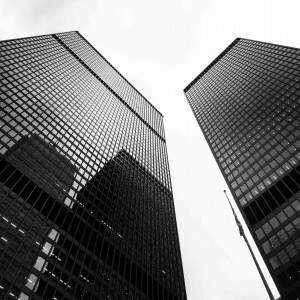 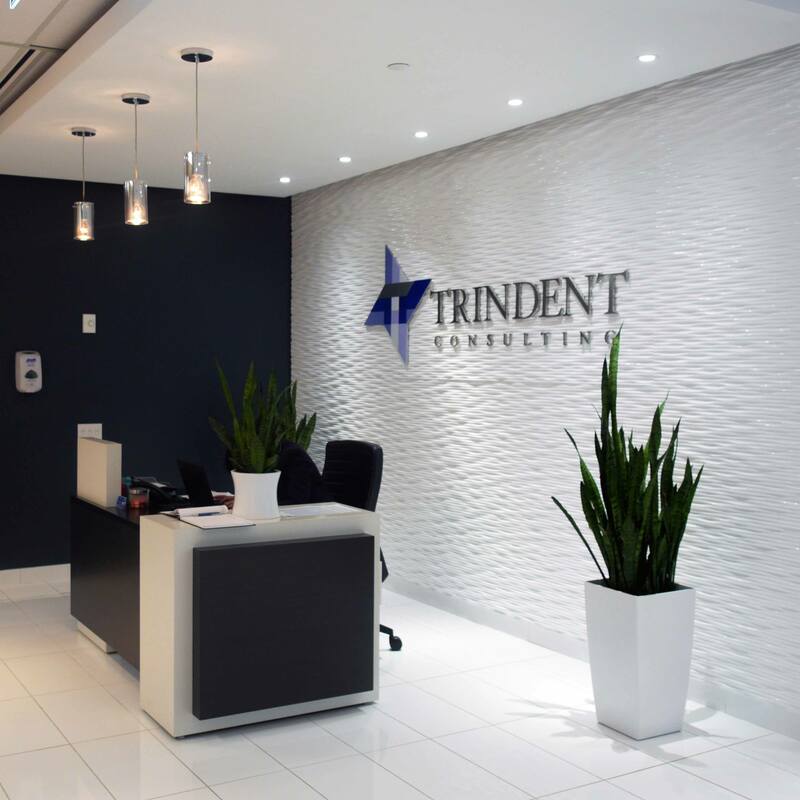 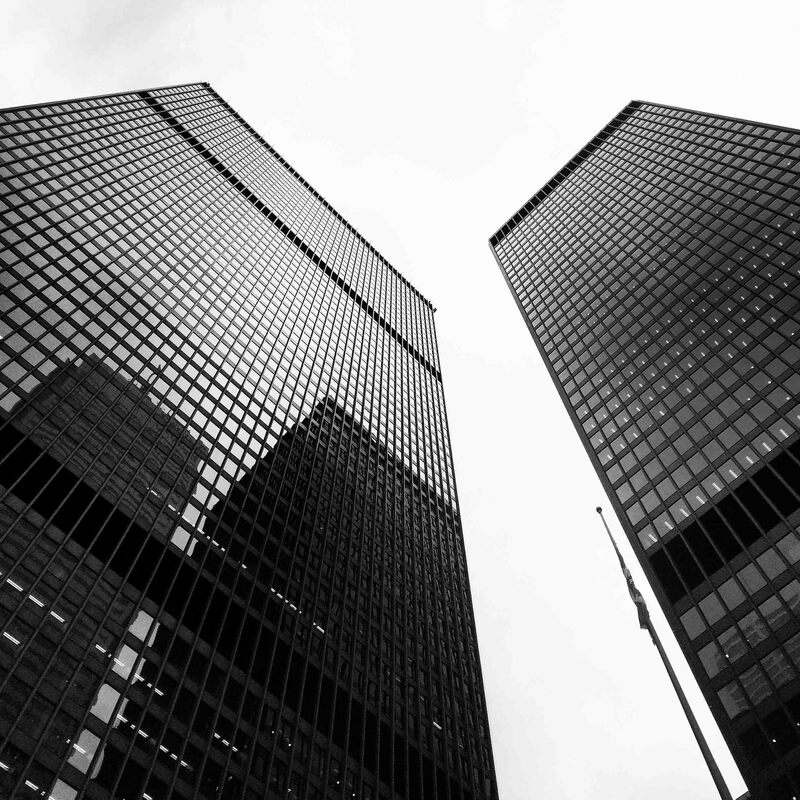 Trindent’s Toronto office is located in the heart of the financial district in the Toronto-Dominion Center. 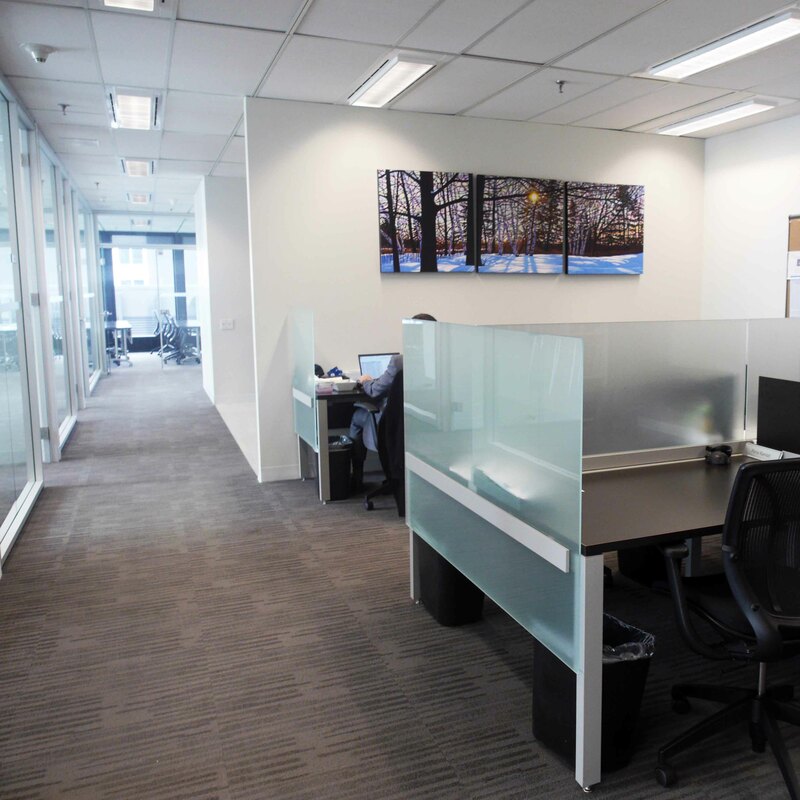 The office is well-appointed to encourage collaboration and transparency amongst our consultants. 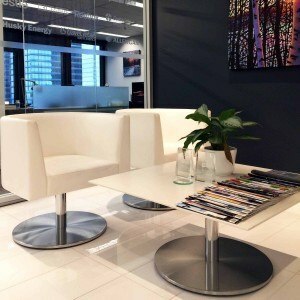 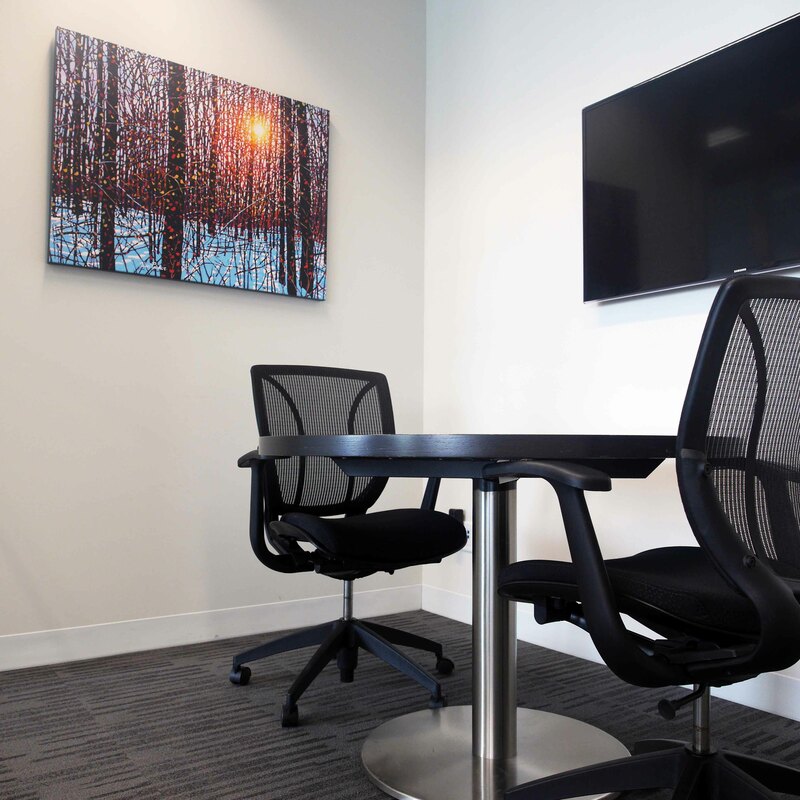 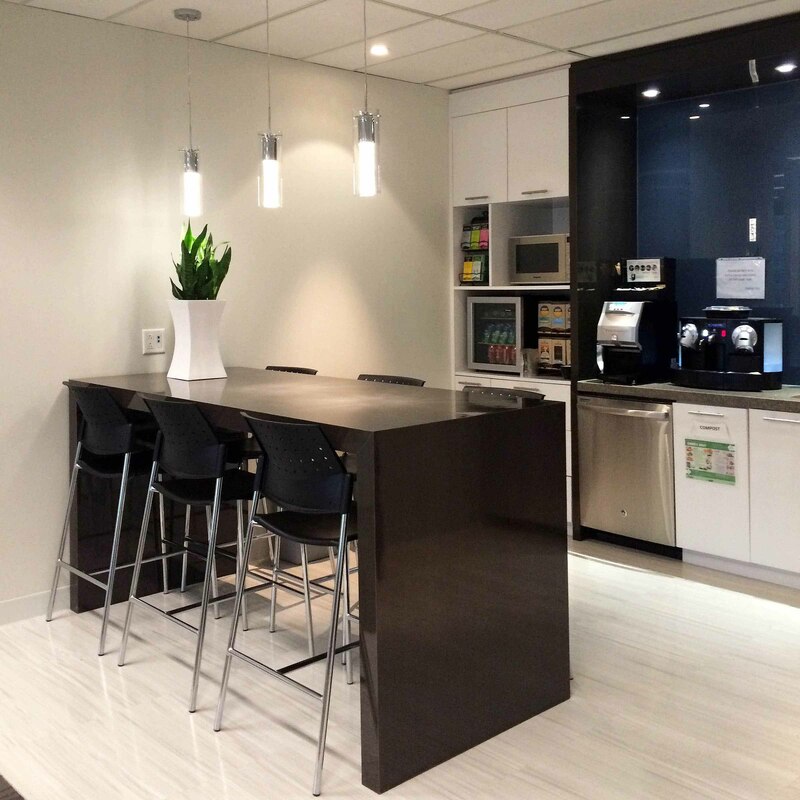 Our bright and modern location allows us to connect, brainstorm and share best practices to deliver better results for our clients. 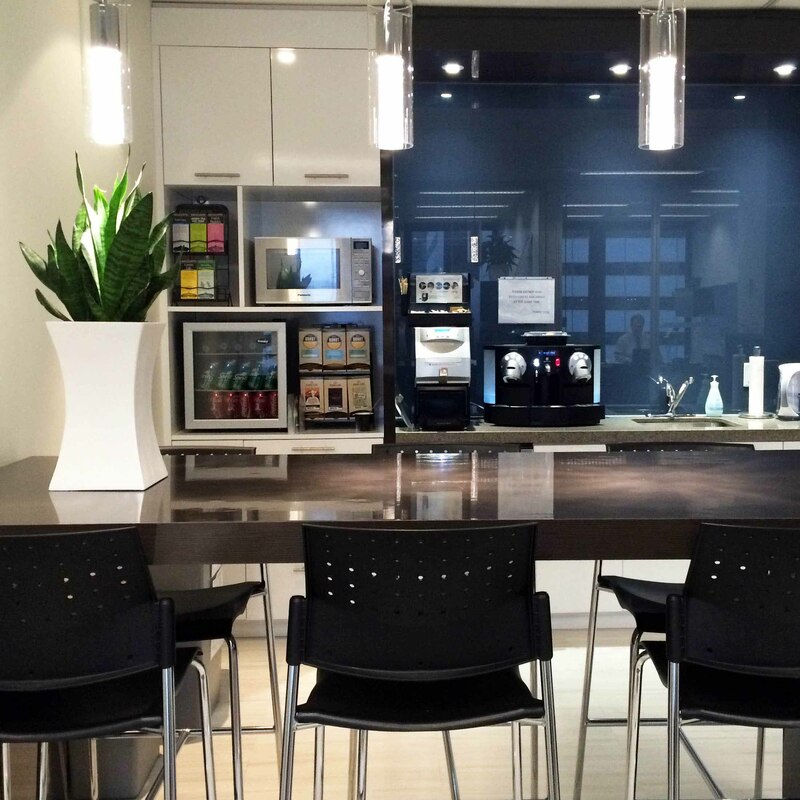 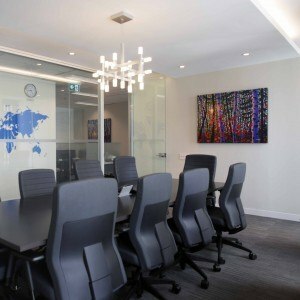 The office is easily accessible by all forms of public transportation and has a direct link to Toronto’s Pearson International Airport by the Union/Pearson Express train service. We proudly showcase our client list in our reception area along with their letters of reference following their engagements with Trindent. 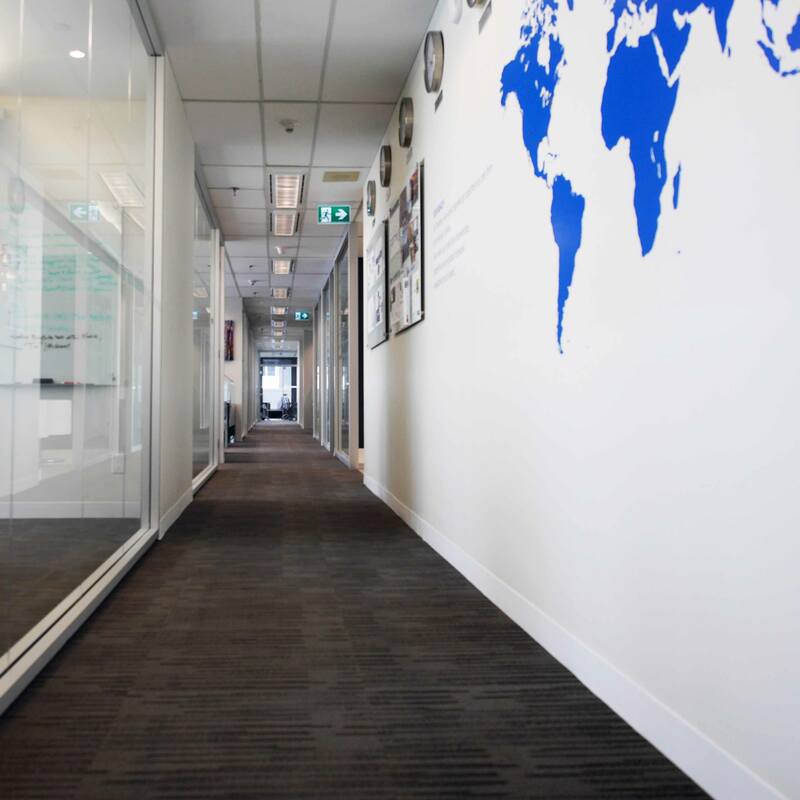 We have also named all of our meeting rooms after our first notable clients—they paved the way for our continued success and we are thankful. 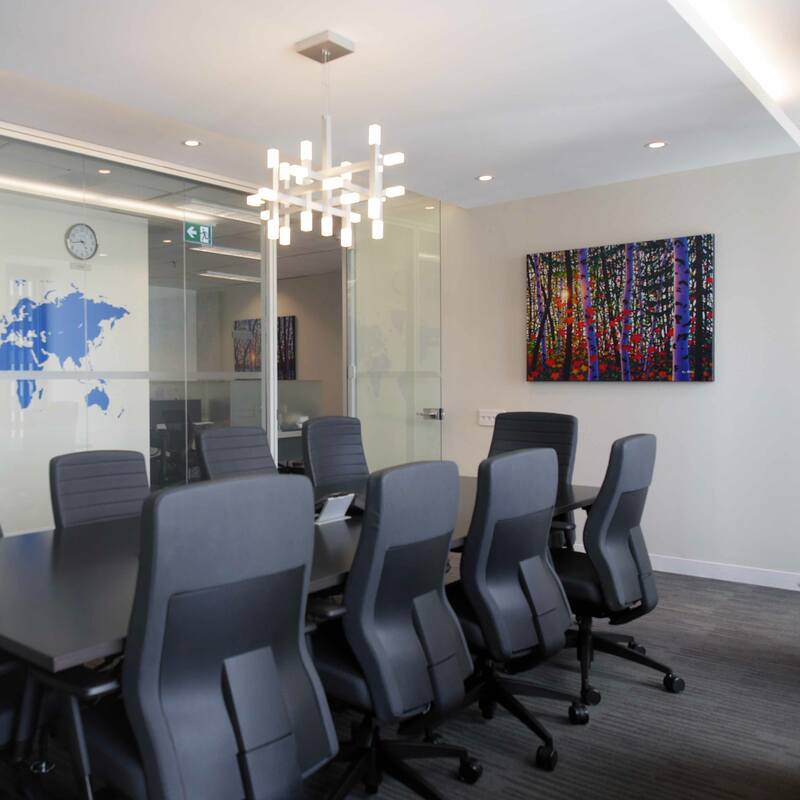 We also have a spacious training room where our monthly professional development training sessions take place. 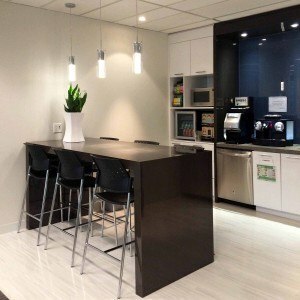 Complimentary coffees, teas, and snacks are continuously provided for our staff and continental breakfast is available every Friday to keep our staff engaged and foster camaraderie. 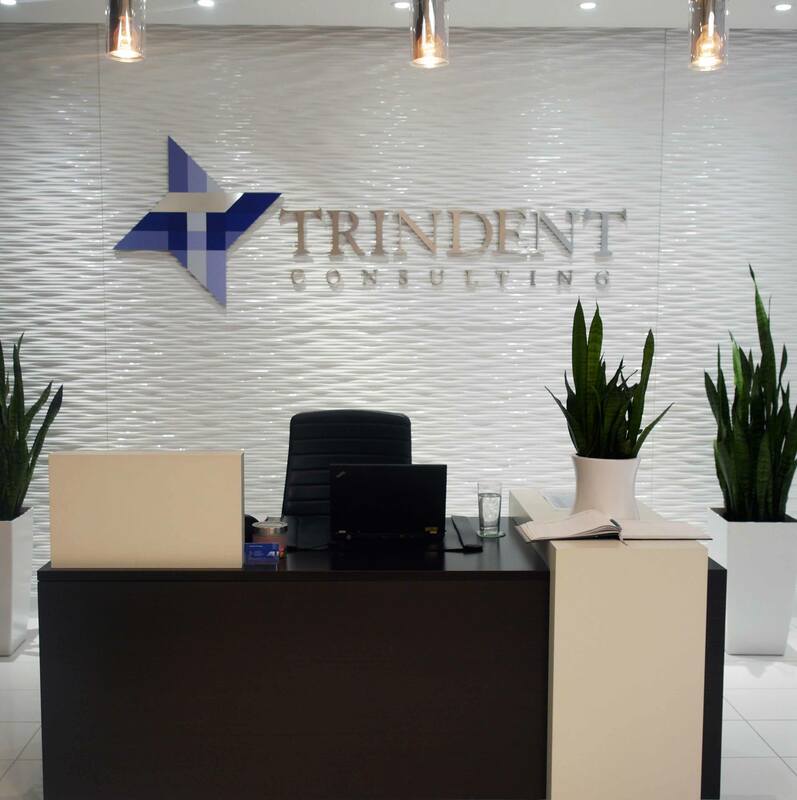 Comfort and respect are also priorities at Trindent Consulting. A multi-faith prayer room, a breastfeeding room, and a wellness room are available to maximize comfort for our visitors and staff. 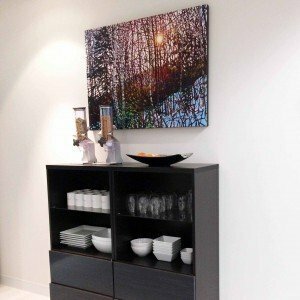 Our office also features several commissioned works of art by Tim Packer, one of Canada’s most talented artists. 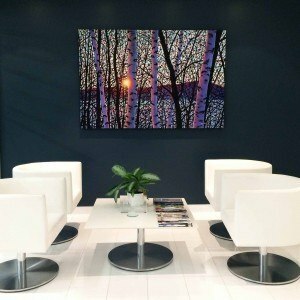 His unique style draws on the deep traditions of the Canadian landscape.